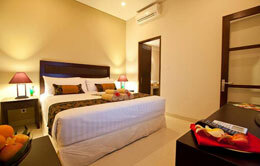 Black penny villa is the new accommodation in small island of Lombok named “Gili Trawangan”. 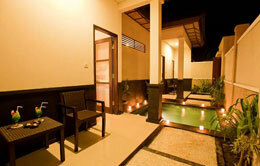 The villas offer 23 private luxury villas with private fresh water plunge pool. Designed to the highest quality, the villas are conveniently located just minutes away from the vibrant beachfront restaurants and the crystal clear water of the java sea Gili Trawangan Lombok. As the new accommodation on Gili Trawangan, Black Penny Villas has international standard facilities such as: Room with private pool,Room with AC, Fresh Water, LCD TV with international Chanel, DVD Player, Internet WIFI, Safety Box, Restaurant, 24 Hours Security. 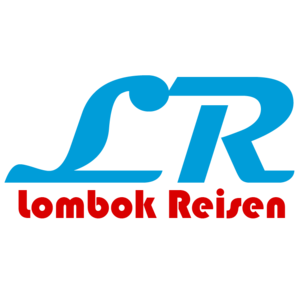 Black Penny Villa located on the popular Island of Lombok, named Gili Trawangan. Gili Trawangan is one of the most beautiful from over than thousand islands in Indonesia can be reached by fast boat from Bali, only one and half hour. During Low Season No Cancellation Fee will be charged on cancellation received by us 10 days prior to arrival date and for cancellation received less than 10 days prior to arrival. During High Season (from the whole August and from 20th December to 5th January) Cancellation Fee will be charged on cancellation received by us 15 days prior to arrival date and for cancellation received less than 15 days prior to arrival.